Android users have been able to enjoy free flow of movies and TV shows streaming service through special BitTorrent client apps that uses sequential downloading in order to stream media called Show Box and Popcorn Time. 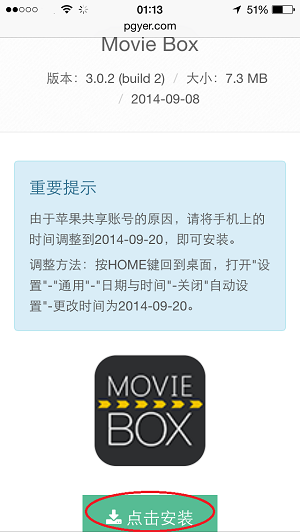 For iPhone, iPad and iPod touch users, an alternative is available, which is Movie Box. The catch is that officially to install Movie Box on iOS device, you need to jailbreak. Not all people wants to jailbreak their iDevices though. Even if you want, it’s still impossible to jailbreak iOS 8 yet. However, it’s still possible to install Movie Box without the need to jailbreak, through the following trick which originally intended to allow developers test their apps easily. Go to Settings -> General -> Date & Time. Change the date to September 20th, or any earlier date. Tap the green button to download and install Movie Box. Run MovieBox after it has installed and tap Trust on the developer warning dialog. 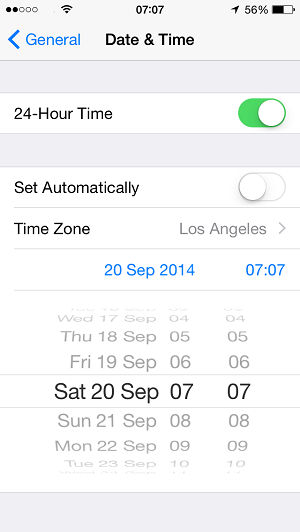 Go back to Settings -> General -> Date & Time. And it’s done. 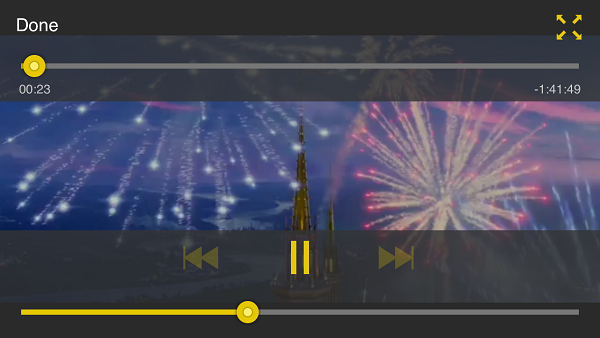 The initial loading when streaming and watching movie and TV series with Movie Box takes a little while, but once it’s running, the media streaming experience is smooth, especially for recent popular films that have many seeds and peers. So enjoy the free movies and TV shows streamed directly to your iPhone, iPad or iPod touch, especially on bigger than bigger screen of iPhone 6 Plus. 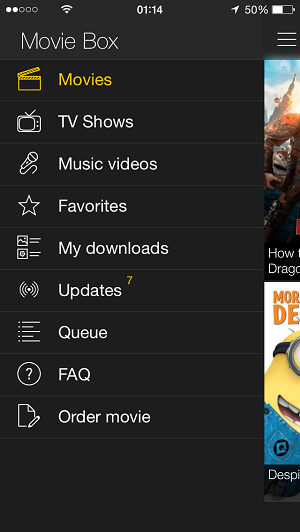 In addition, the iOS app for Popcorn Time, the torrent streaming app which the makes has also been released via Cydia. Official Popcorn Time app requires jailbreak to install, but with the same trick, Popcorn Time app can be installed on iOS without jailbreak.